All Erwinna homes currently listed for sale in Erwinna as of 04/21/2019 are shown below. You can change the search criteria at any time by pressing the 'Change Search' button below. If you have any questions or you would like more information about any Erwinna homes for sale or other Erwinna real estate, please contact us and one of our knowledgeable Erwinna REALTORS® would be pleased to assist you. "From a nearby historic covered bridge, a meandering clifftop driveway ends at a private and unique Bucks County home overlooking the Tinicum Creek below. The natural, unspoiled beauty of the setting caught the attention of these owners and was the ideal place to construct this 6-year-old, 3900-square-foot Tuscan masterpiece where the design and details were built without compromise. Entering the main foyer, a reclaimed-brick pathway in a curved arched hallway teasingly beckons and slowly reveals the great room ahead. Artisan plastering, complemented by antique reclaimed doors, barn beams and plank flooring, achieves the look of a Medici-era European Villa but with the modern comfort, reliability and efficiency that only new construction can provide. The great room, with its wood-burning antique fireplace and French doors, overlooks the stone terrace and stream revealing a functional, open floor plan. The warm ambience continues into the gourmet kitchen featuring custom cabinetry, top-of-the-line appliances, soapstone countertops and a massive island with a separate pantry. Another brick hallway leads to the upstairs bedrooms for the privacy of your guests. Finished with the same attention to detail, these feature private en suites along with Juliet balconies and French doors, each offering beautiful views of the courtyard and stream below. Downstairs is a cozy pub or family room with an attached home office, all with direct access to the patio. The first-floor master wing feels like a world away, accessed by its own hallway. The master bedroom overlooks the patio and stream and has an attached private courtyard. The master bathroom features his and hers vanities, a freestanding tub with an enclosed shower, and two adjacent walk-in closets with a laundry room. A full-sized poured concrete basement offers a finished gym or playroom with the ability to expand further, and also houses the state-of-the-art utilities with a private Bilco entrance for servicing. The 11-acr"
"Watch the Fall Colors light up the world from this Beautiful Custom Built Guidi Home. Too many upgrades to list but here are some of the highlights: Gorgeous Custom Marble foyer and custom oak staircase. 9 ft ceilings on the first and 2nd floors with 8 ft solid wood doors. Gourmet kitchen with double granite counter tops, stainless steel appliances, gas cooking and a custom back splash. Gleaming Finished in place Hardwood flooring and Beautiful mill work throughout the home including many arched openings are evident as you preview this lovely property. Elegant formal dining room with butlers pantry for formal entertaining. A complete separate in law or Au pair suite with a private entrance includes Living room, Dining room, Kitchen and Bedroom with Walk in Closet and a full bath. The 2nd floor features a private master suite with inverted tray ceiling and chandelier, plus a beautiful marble bath with over sized Jacuzzi whirlpool tub and a separate shower. The bath also has two vanities, a towel warmer and private commode. Two spacious walk in closets are custom fitted for optimum use and complete this wonderful retreat. 4 other bedrooms share 2 full baths along with a computer nook and a full laundry room with cabinetry, sink and pull down ironing table. For comfort year round there is a 4 zoned heating and air conditioning system. The finished basement with full bath has many uses and leads out to the multi-level patio and pool area. If entertaining outside is on the days venue, then there is no more perfect place to be. The first level of the patio features a built in gas grill with refrigerator, sink and granite topped work space. Plenty of space for your dining set. On cool fall evenings, the next level sets the stage for roasting marshmallows around the cozy fire-pit. As you move down to the final pool level, you will cross over the babbling brook which feeds into the pond and overlooks the refreshing in-ground pool with sliding board. This home has unob"
"Welcome to Firefly Farm, a slice of heaven in Tinicum, Bucks County, with incredibly LOW TAXES. Featuring a restored 3 bedroom farmhouse, a charming 2 bedroom guest house and a classic 3-story red barn, this lovely country property welcomes many lifestyles. The main house, a fully-renovated & updated 1850 farmhouse, has an inviting front porch with mahogany decking & ceiling fans - so inviting & tranquil! The house is filled with exquisite original architectural details including moldings, floors & doors-even gorgeous wavy-glass windows. It features a gracious great room with gas-fireplace adorned by a custom mantle, random-width floors, & floor-to-ceiling front windows. The fabulous eat-in gourmet kitchen has expansive granite counters & island w/ added storage & wine cooler, stainless steel Viking Pro & Fisher Paykel appliances, porcelain under-mount farmhouse sink & ample cabinets. The kitchen is open to the dining area with more cabinets offering appliance garages. At the rear of the house, the large tiled sunroom is flooded with light, and can serve as additional living, flex space or breakfast room. The laundry & a tiled full bath are nearby. French doors open to the over-sized bluestone terrace enveloped by an exquisite stone wall. Tucked into part of the wall is a stainless steel outdoor kitchen. Back inside & up the elegant stairway are 3 bedrooms, each with large restored original windows & pine floors. The hall bath features tile floors, a commodious shower w/ seamless glass surround, & plantation shutters. The attic level has been fully-finished, creating a loft space that could serve as an additional bedroom, playroom, studio or office. Visitors will get the royal treatment in the guest house, which features an office, in addition to the 2 bedrooms, a large kitchen and dining area with high quality appliances & appointments. The very generous living room has windows on three sides framing long-distance views. This one level home features tile bath & lau"
"OPEN HOUSE SUNDAY, APRIL 14TH 1:00-3:00PM. 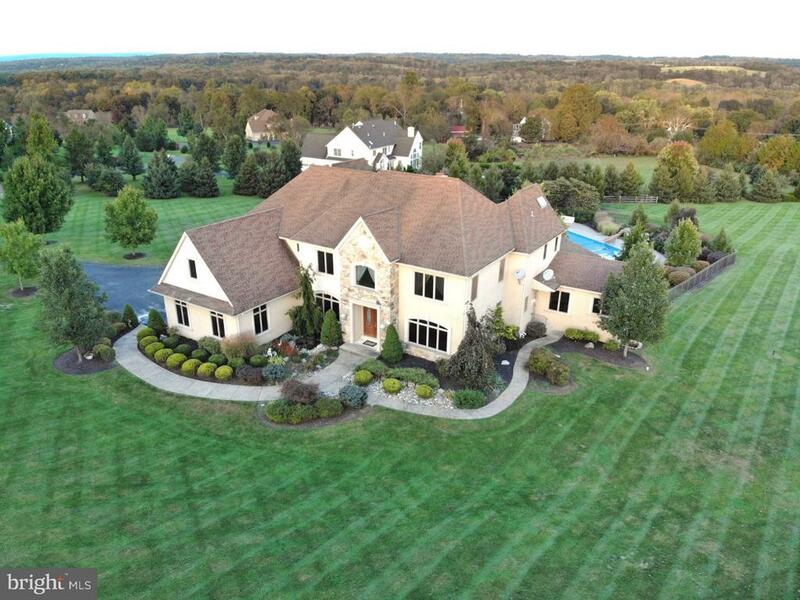 This stunning center hall colonial is perfectly situated in a quiet Bucks County neighborhood. Set on a generous 3.68 acre lot, Erwinna Way combines elegant design with cozy country charm and top-of-the line accoutrements. Oak floors, soaring ceilings, crown moldings and oversized windows define the first floor. A large foyer opens to the dining room and formal living room, which leads to a lovely open design where the kitchen and breakfast area flow easily into the family room and nearby office. The kitchen offers wood cabinetry with soapstone countertops and farmhouse sink, and fully paneled appliances. The family room is perfect for every season, with a floor-to-ceiling stone fireplace and access to a large deck overlooking the yard. The mudroom connects the main living area to the attached garage, and the nearby laundry room is a thoughtful convenience.Upstairs, plush wall-to-wall carpet runs throughout the hallways and 4 generously sized bedrooms. The master suite features high ceilings, a large walk-in closet, and a well-appointed bathroom with radiant heat floors and a jacuzzi tub. Three additional bedrooms include ample closets and connected bathrooms. Finishing out the second floor is an expansive two room suite. The fully finished walkout lower level is a great space for friends to gather, featuring an exercise room, wine room, and wet bar. Outside, the large yard offers plenty of space for a variety of activities with long-range views.Rolling Hill Farm provides and maintains miles of walking trails ranging through and around the neighboring streets, with access points easily reached from Erwinna Way. Located in the desirable Palisades School District, this setting is within easy driving distance to major roadways, shopping and dining venues." "A nature lover's dream within easy commuting distance to New York City, Princeton and Philadelphia. If you yearn to be in a beautiful part of Bucks County, then this restored, early frame and stone house is the perfect choice. The property has direct access to the Delaware River and the 58.89-mile-long towpath trail at the Tinicum Creek Aqueduct. It is a bird lover's paradise with Cardinals, Flickers, Baltimore Orioles, variety of Woodpeckers, Bald Eagles, Red Tailed Hawks and many more that you can watch from your enclosed porch and/or your blue stone terraces throughout the year. The 3-bedroom Colonial house and property were restored in 2009 but still retain the charm of its 18th century details including stone fireplaces, exposed beams, random pine and oak floors and many of the original moldings, doors, windows and wooden pie turn staircase. The home was expanded, remodeled and upgraded to include the addition of a Master bedroom with balcony, Master bath, additional closets in each bedroom, second floor laundry room, first floor powder room, central air and on demand generator. The kitchen has a sky-lighted cathedral ceiling, plenty of counter space and a separate breakfast room to please any professional or want-to-be chef. On the main floor, there are an additional four rooms that can be used as a living room, dining room, office, library, guest room, den, etc. The current owner is an accomplished Stone Mason who restored four fireplaces to their original beauty, rebuilt the stone walls and added bluestone terraces along with natural stone landscaping. There is a 2-car garage, heated in-ground natural stone swimming pool and spa with a built-in fountain and a cottage for in-laws, guests or rental income. The 1760's red Barn has electric, water and septic allowing it to be renovated into much more than a storage area. The 5.39-acre Delaware River front property is along the Delaware River, Tinicum Creek and the Delaware Canal. The property's b"
"In the quaint village of Erwinna, is a circa 1850s brick home that sits high above the road. It has stately characteristics, authentic old world detailing, and modern amenities. Enter the sitting/dining room with wood burning fireplace and you immediately know you are in a charming house that offers many possibilities for full-time residence or a weekend retreat. Original hardware, wide plank floors, deep window sills are but a few of the features that make it distinctive. A lovely living room has built-in bookcase and a second door to the front porch, a characteristic of the era. Kitchen has been redone with recessed lighting, Viking range, period cabinetry, stunning granite countertops, farm sink and fabulous faucet. Built-in Sub Zero has cabinet facing. Focal point is a walk-in fireplace with shutters. Back hall has three closets and a bathroom with shower. The pie shaped staircase to upstairs is easy to navigate and there is a wide hall and three bedrooms that share an incredible bathroom with unique features. Fill your oval bathtub from an opening above it in the ceiling and luxuriate in the large tiled shower with heated bench and water cascading from a ceiling grid. The custom cabinetry and vanity has two vessel sinks with waterfall faucets and there is a separate area for the toilet. Radiant heat in bathroom and shower floors adds to the sense of being in your personal spa. A floored, walk-up attic is great for storage and a full basement has laundry area and room for more storage. Access the beautiful, private patio and backyard from the kitchen back hall. 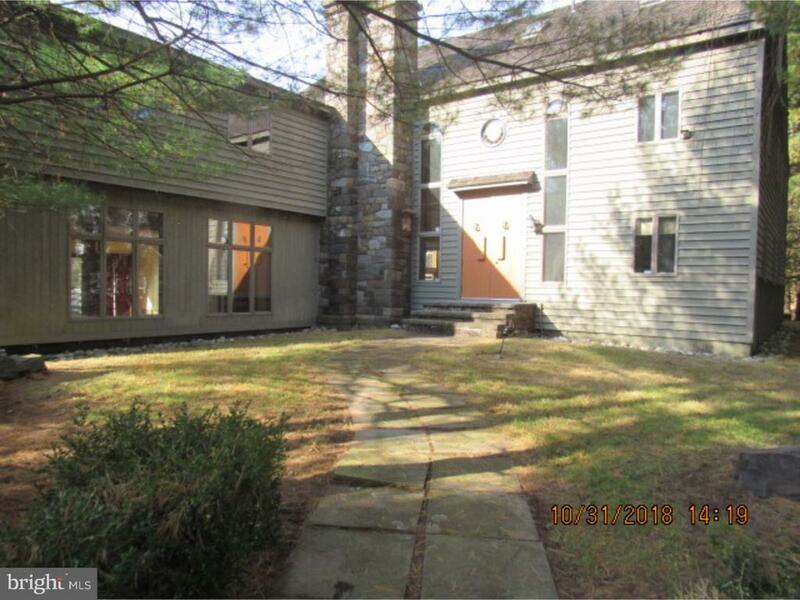 Mature trees and shrubbery abound together with a wide lawn leading to a barn/garage and steps down to the road. One block away is the Delaware Canal and the Delaware River is in close proximity. This property also includes a 1-story office building, on a separate parcel, 850 sq. ft. of which is leased for the Erwinna Post Office. Three additional rooms( approximately 500 sq.ft.) 10x31, 7x18, 5x7 plus a"
"This fabulous property is located on beautiful River Road! The property is located across from the Delaware River and looks onto the Charming Historic Period properties. The great room boast a massive stone fireplace while blending original and contemporary architecture throughout! A large Grotto spa is enhanced by the separate sun drenched family room. A large master suite with custom tiles, walls of glass, sitting room with stone fireplace and spacious dressing area. All plumbing is repaired and tested. HVAC was cleaned and tested. This unique one of a kind property offers the perfect location and is set on almost 4 acres of land! This 3 floor home has 7 bedrooms most with en-suites and private rear yard. Located minutes from the shops, restaurants and activities of New Hope, Frenchtown and Lambertville makes this property a total must see. Make your appointment today!" "In the quaint village of Erwinna, is a circa 1850s brick home that sits high above the road. It has stately characteristics, authentic old world detailing, and modern amenities. Enter the sitting/dining room with wood burning fireplace and you immediately know you are in a charming house that offers many possibilities for full-time residence or a weekend retreat. Original hardware, wide plank floors, deep window sills are but a few of the features that make it distinctive. A lovely living room has built-in bookcase and a second door to the front porch, a characteristic of the era. Kitchen has been redone with recessed lighting, Viking range, period cabinetry, stunning granite countertops, farm sink and fabulous faucet. Built-in Sub Zero has cabinet facing. Focal point is a walk-in fireplace with shutters. Back hall has three closets and a bathroom with shower. The pie shaped staircase to upstairs is easy to navigate and there is a wide hall and three bedrooms that share an incredible bathroom with unique features. Fill your oval bathtub from an opening above it in the ceiling and luxuriate in the large tiled shower with heated bench and water cascading from a ceiling grid. The custom cabinetry and vanity has two vessel sinks with waterfall faucets and there is a separate area for the toilet. Radiant heat in bathroom and shower floors adds to the sense of being in your personal spa. A floored, walk-up attic is great for storage and a full basement has laundry area and room for more storage. Access the beautiful, private patio and backyard from the kitchen back hall. Mature trees and shrubbery abound together with a wide lawn leading to a barn/garage and steps down to the road. One block away is the Delaware Canal and the Delaware River is in close proximity. $For $675,000 This property also includes a 1-story office building, on a separate parcel, 850 sq. ft. of which is leased for the Erwinna Post Office. Three additional rooms( approximately 500 sq.ft.) 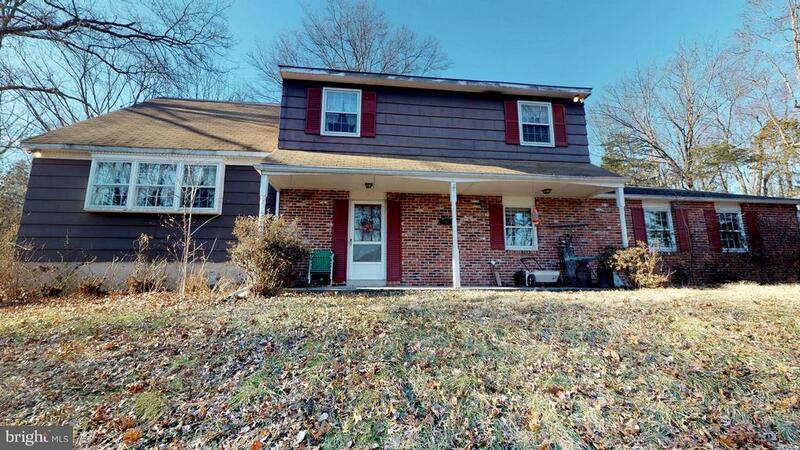 10x31, 7x"
"This is the first time this story-book property, situated on a quiet country road in desirable Tinicum Township has been on the market since 1954. 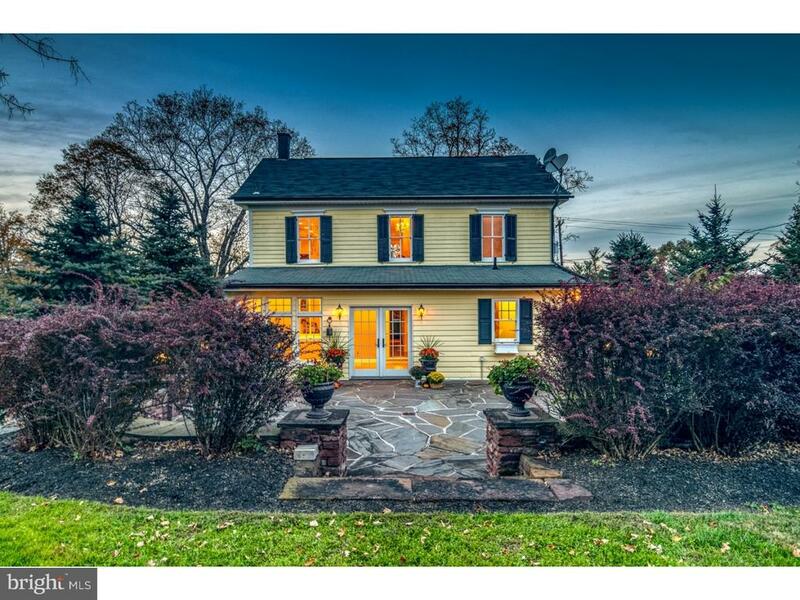 The property's real value is primarily in it's most sought-after location and the awesome 19.50 acres of unspoiled land, having the pristine Tinicum Creek visible from the spacious rear deck of the existing cottage. It would be well-worth the money and effort to renovate and restore the historic cozy residence into your dream come true home. Your drive-time to the Frenchtown bridge would be about five minutes, fifteen minutes to New Hope, and approximately twenty minutes to Doylestown. 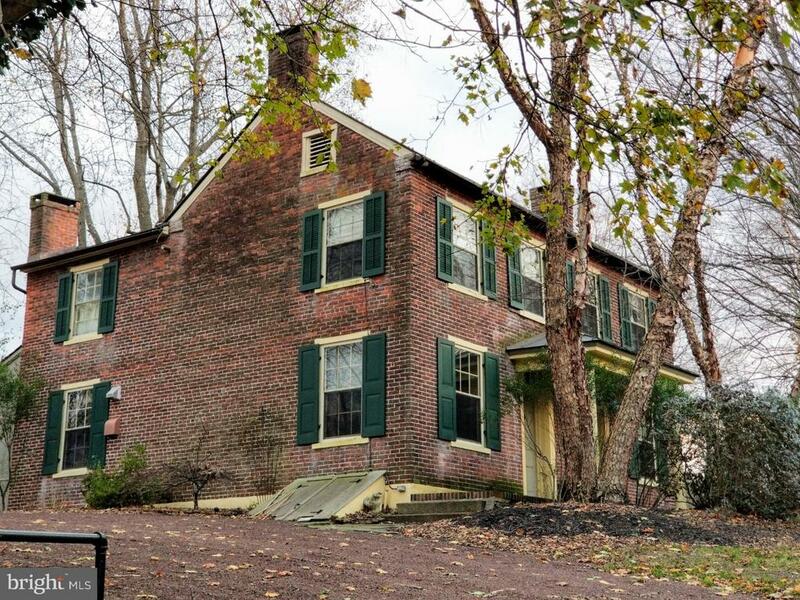 A property and location such as this is a rare find in all of Bucks County. Peace and tranquility will be at hand to whomever is fortunate enough to own this lovely and natural setting...guaranteed!" 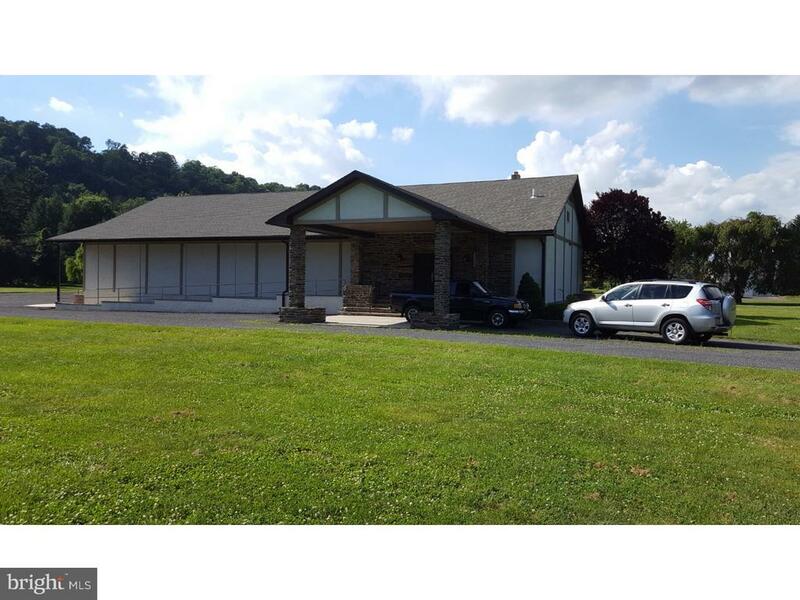 "This is a meticulously maintained 3520 SF building situated on a picturesque 3.28 acre lot. The building is currently being used for a Church / House of Worship but could also be easily converted to a residence or many other possible uses and it is handicap accessible. It features a large auditorium approx 39 x 50 with large seating capacity and a separate 15'X 17'auxiliary classroom. There is also a 13' X 12' efficiency Kitchen/Lunchroom. Handicap accessible ceramic tiled Men's and Women's Restrooms. Large gravel parking lot provided ample parking. Roof is approx 3 years old. Heating system consisting of 2 heat pumps approx 2 years old. Oil boiler and baseboard heating provides auxiliary backup heating.Property is currently tax exempt for religious purposes. The lot extends to the Delaware River. This building is zoned RC Residential Conservation District. Bring your architect and make this beautiful setting your new home. This property is sold in AS IS condition and is tax exempt for its current use. So bring your offers for this picturesque setting." "Gorgeous Upper Bucks country setting with lovely views! 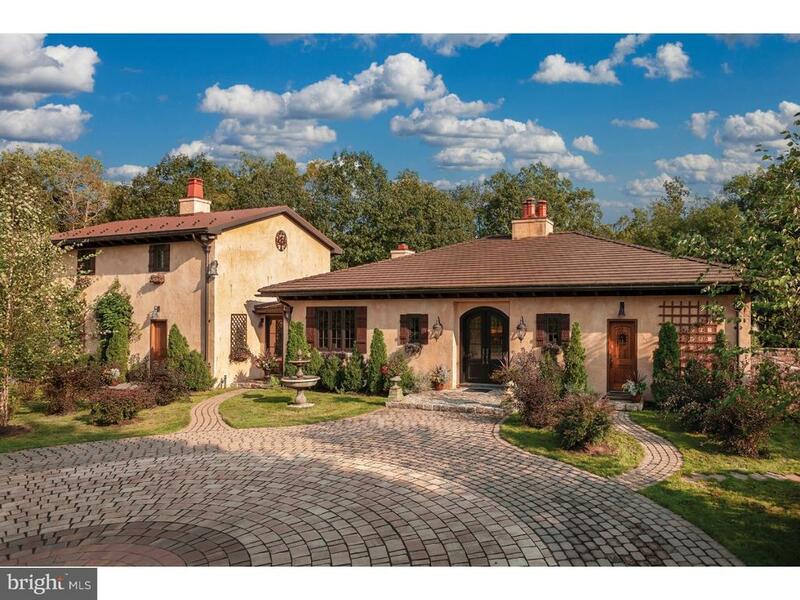 This sprawling multi-level home is looking for new owners to love. If you have the vision, this property has great bones and awesome potential. Spacious bedrooms, a great layout and a truly peaceful location. Conveniently located near commuter roads and in an excellent school district. Come with big ideas and see what a unique opportunity this is."